Nightforce Accessories, the only possible way to improve your Nightforce riflescope. Your riflescope needs a solid platform to ensure you are getting the maximum performance out of your rifle and optic. The Nightforce X-Treme Duty accessories offer solutions for those pushing their equipment to the limit. With rings and one piece mounts constructed of aluminum and titanium, and bases constructed of steel, these accessories are ready for a lifetime of service on even the heaviest of recoiling rifles. The Nightforce X-Treme Duty bases are made to Mil. Std. 1913 specifications. These one and two-piece bases are machined with a 20 or 40 MOA taper and finished with a matte black mil-spec coating. Nightforce Unimount™ and Magmount™ riflescope mounting solutions are designed to remain on the scope at all times, allowing quick removal of the scope or interfacing with different firearms. The Unimount is the most accurate Mil. Std. 1913 mount available, incorporating a built-in 20 MOA taper to maximize long-range capability. 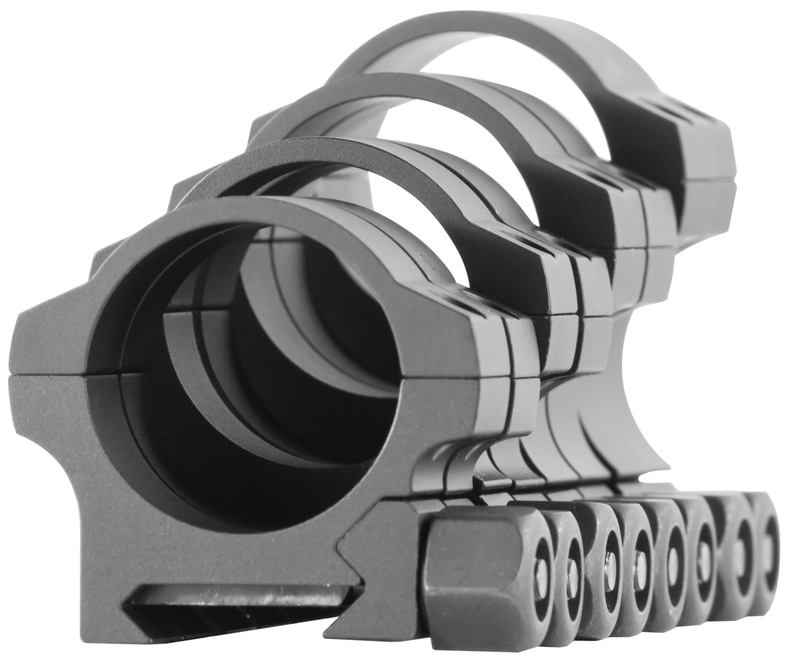 The Ultralite™ MagMount™ adds a third crossbolt for even greater protection against recoil. 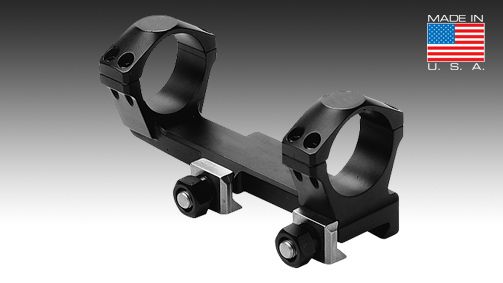 The Compact Magmount™ requires less rail space than the traditional Magmount™, and is available to fit 30mm and 34mm riflescope tubes. The Nightforce Direct Mount system combines a high quality CNC machined 7075-T6 hard anodized aluminum base with an integrated ring design. Our Ultralite Rings feature CNC machined 7075- T6 hard anodized aluminum bodies and titanium beta series crossbolts and jaws and our Steel rings are machined with a load-bearing recoil lug on the grade eight crossbolt. These options provide the platform for perfect alignment and superior accuracy. Wringing out the last few increases in performance often comes down to the finest of details. Upgrade your Nightforce riflescope with an Angle Degree Indicator and/or a Top Ring Bubble Level to ensure your shot is on the right path when it leaves the barrel. Interested in high speed magnification changes on your Nightforce NXS™ full size and non-enhanced Compact models, ATACR™ or SHV™ riflescope? No modifications to the riflescope are required to add the Power Throw Lever (PTL™) to you power zoom ring.